Anne Marie offers a variety of lesson options for every skill level and budget. You can now book your lessons online in just a few easy clicks. Schedule your lesson today. We invite you to come to one of the many clinics offered throughout the year. Give the gift of golf for that someone in your life looking to improve their game. View a small collection of Anne Marie's articles. View a collection of Etiquette and Rules videos. 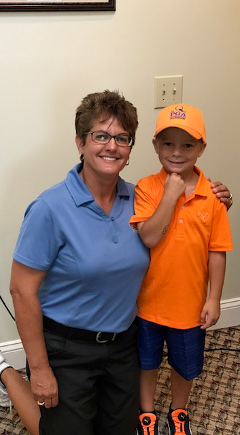 Anne Marie Goslak was recognized as one of the Top 50 LPGA Instructors, from more than 1,700 certified members, worldwide. 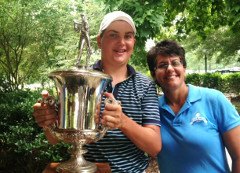 As a child, Anne Marie won numerous local, state and national junior golf titles, including the National Junior Invitational. 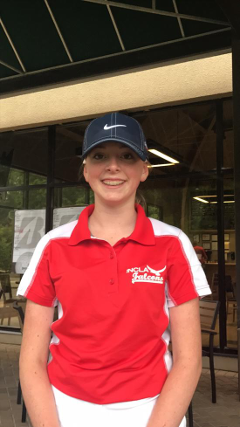 She qualified for match play in the US Pub Links Championships as well as the USGA Junior Championships. 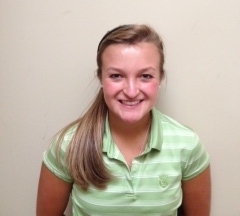 Anne Marie went thru the college recruitment process, before securing a golf scholarship to Wake Forest University. 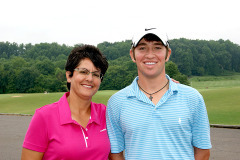 She can relate to your child because she has experienced life as a junior golfer. She can help you understand what your child needs to take it to the highest level. Three to five year plan based on player's strengths, weaknesses, opportunities, and threats. Goal setting and strategic planning for golf and life. Guidance on the college recruitment process including letter writing, phone calls, how to interview with a coach, how to negotiate, and final decision making. 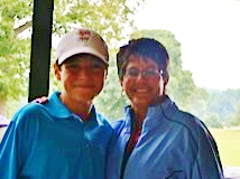 Over 40 of "Anne Marie's kids" have received golf scholarships. 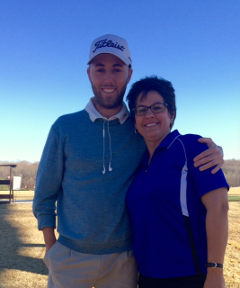 Former students have played on the mini tour, gone to the PGA and LPGA Qualifying Schools, or become nationally recognized teaching professionals. Anne Marie can help your child have the best chance of being successful. Your child still needs to do the work, but achieving a dream is a lot easier when someone maps out a plan and leads the way! How to interview with a college coach? What to say to the media after you win a tournament? Goal setting, time management and practice plans. Contact Anne Marie today for more information and pricing for services. Parents and Junior Golfers PLEASE Read!! Let's assume that by now, you have decided that you want me to coach your child. What can you expect from me? What do I expect from you and your child? Promise to always be honest with you and your child about how good they can be. I will not sugar coat the truth. I will not lie to build up your child's self esteem. It is my job to assess talent, share my vision with the client and motivate them to achieve their highest potential. Promise to take your dream seriously, whether it is to improve just enough to beat your dad or get on the PGA or LPGA Tour. I value ALL levels of achievement. Promise to be a support system for both the player and their family. Being a golf parent is not easy. 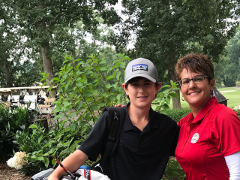 I can help you and your child navigate the challenging waters of junior golf because I've lived it and coached it for more than 40 years. Do your best to communicate with me. If you have a question or concern, let me know. If you disagree with me, don't just "Yes Ma'am" me and then do what you want to do. Let's talk it out and find a solution together. Do your practice drills exactly as I asked you to. Adding additional info from the Golf Channel, your parents or your golf buddy destroys the plan and progress I have in mind. If you want to be an elite golfer, I will expect you to do a Golf Journal, Affirmations, Visualizations, and Mental Exercises. A good swing is not enough. I offer a total package of teaching. Skipping the other aspects of the game will set you up to fail. 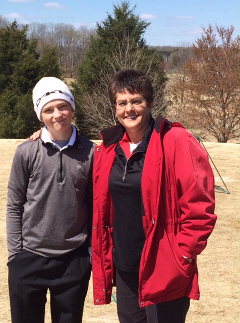 In order for your child to have the best chance to achieve their golf goals, I need YOUR help. Be open to the suggestions I make. Take the time to learn the "Do's and Don't" of being a good Golf Parent. I've worked with hundreds of kids over decades of teaching. Let me help you to avoid the most common pit falls. Resist the urge to coach your child on the side. That puts everyone in a "Lose-Lose" situation. Your child wants to please you so they try and listen to you. Meanwhile, what you are saying is often 100% opposite of what I want them to do. A child divided is not a pretty sight. Let me teach you how to be a second set of eyes. Stick to only the things that I ask you to. Please, please, please, do not send your child to another clinic or instructor, even if it's free. Whether it is me, or another instructor, stick with ONE voice for your child. Every year, somewhere between November and January, I sit down and go over my notes. I then rank each child, based on a number of factors: Work ethic, attitude, potential, national or state ranking and what grade they are in. Based on their total score, I invite junior golfers to schedule, in advance, for the following year. I do this because teachable time is limited, due to day light and frost, from Jan-March and again from Oct-Dec. I tend to book up quickly. The higher the ranking, the better chance the child has of getting the exact lesson time they want. You do not go higher in the ranking, based on how many lessons you take or how much I like working with you. It's purely a mathematical selection. Booking in advance is NOT required. You do NOT need to pay for those lessons in advance. I know there will be changes to the schedule. 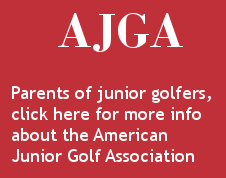 Classic Junior Golf offers a unique competitive experience for children ages 4th-12th grade. They play at top notch golf tournaments in the Carolinas and plan to expand in 2015. 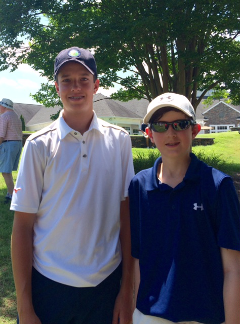 If you want your child to play collegiate golf, the competitive experience starts NOW! Click here for the Peggy Kirk Bell Girls Golf Tour Schedule. Thomas Meyer qualified for the next stage of the Big I Championship. Morgan K, focused, dedicated, and ready to win. Caitlyn at the CAASC State Tournament 1st place !!! I had the pleasure of working with professional golfer, Ryan Sullivan, when he was a little boy. 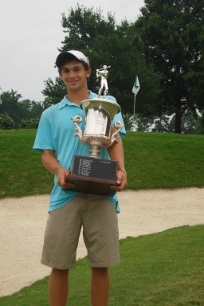 He went on to play college golf at the University of North Carolina Wilmington. He has qualified for a number of US Opens and won the Puerto Rico Open. Best of luck to this talented young man! Student Chris Carr beat me by 1 stroke! 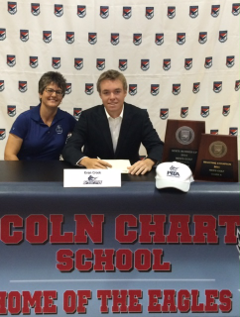 Student Evan Crook plays for Palm Beach Atlantic. 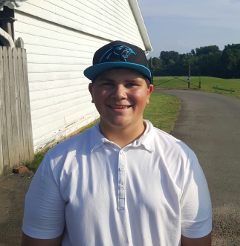 Student Jake Solomon shaved 12 strokes off his game in one year! Student Cameron Witherspoon wins again! Students Rob Salisbury and Matt Valaoras. Fun in the rain with Gunn! It's never too cold for a lesson with Sam Nester! 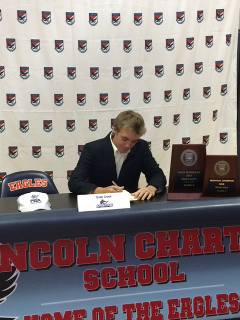 Evan Crook signing his NCAA National Letter of Intent to receive a golf scholarship to Palm Beach Atlantic in FL. Chris Carr holding the Yadkin cup. 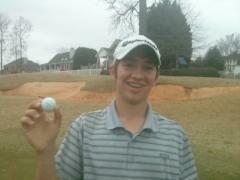 Kellan Bodenheimer has a record breaking 2 Hole in Ones in less than 10 days, one in an AJGA event. Evan Crook, a rising star. Welcome to the Deacon family! 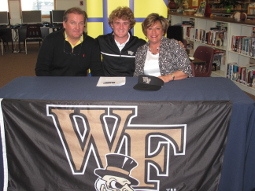 Tanner Owen signs to play golf at Wake Forest University! 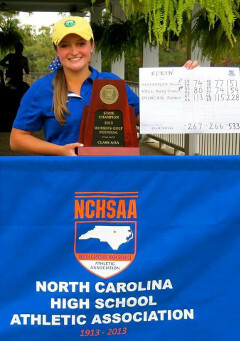 Annika Winebarger won her NC State Championship! 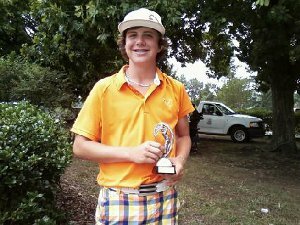 Zac Lynch won the Forsyth Junior Championship! Clark H shattered his personal best and shaved 11 strokes off his original score! 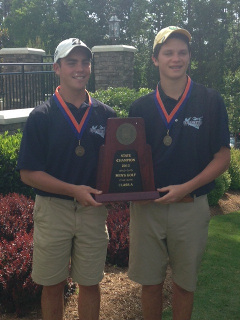 Mason and Jonathon holding team's championship trophy. State Champions for A1 Bishop McGuiness High School! Anne Marie with Ben Schlottman. 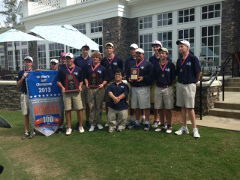 Congratulations to Forsyth Country Day School for winning their State Championship as a team! Ben and Eric were named "All State". "Way to go, Jonathon D, who finished 4th in his state championship! 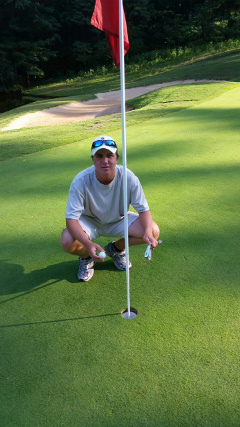 Aaron P had an amazing comeback, firing one under on the final day to finish strong!" 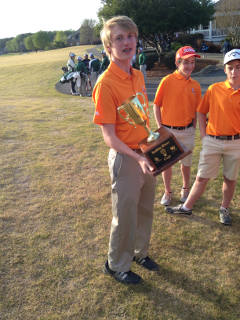 "Tanner O won his state championship, fighting thru the final holes to take the trophy!" "Bug P fired her career low in the her conference championship!" 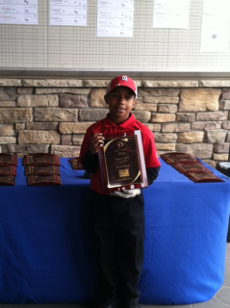 Congrats to Jonathon Davis for winning the National Junior Golf Tour event played at Bermuda Run. Jonathon fired a 71 to win the tournament. I was most proud of his mental game and how he used the tools he had to stay in a peak state of performance. Way to go, Jonathon! 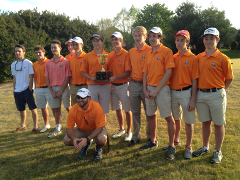 Congrats to Ben Schlottman and team for winning the Palmetto High School Championship. Ben won the Individual title, while Aaron P finished 6th, Eric M 11th, Tyler H 37th and Zac L 64th out of more than 100 talented golfers. 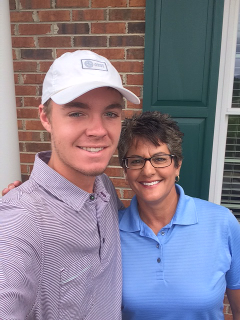 Click here to read Golfweek Article by Cassie Stein. 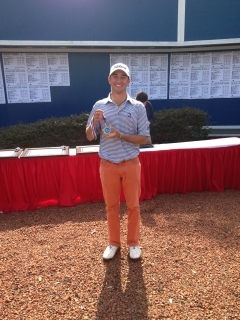 Congratulations to Aaron Purviance for winning the Tarheel Golf Foundation Tournament at Grandover Resort. 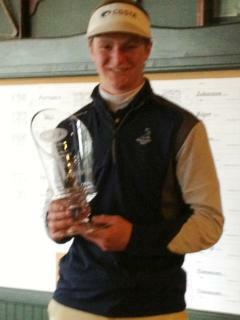 Aaron shot 73-73 in some pretty cold temps to bring home the trophy. This is Aaron's first win of 2013, but I guarantee it will not be his last! Ben Schlottman has accepted a scholarship to Auburn. Click here to read WS Journal Article by John Dell. Anne Marie would like to congratulate Philip Kelley for finishing 3rd at the Coaches Championship and Academy hosted by Purdue University in Fort Lauderdale, FL. Philip shot 76, 78, 73. Well done!!! 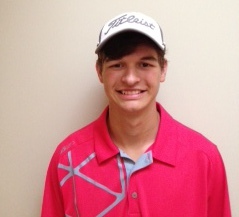 Congratulations to Ben Schlottman for shooting a 59 at Oak Valley! "You shot WHAT? 59???" It was one of those dinner time phone calls. Although I was eating, I saw it was one of my kids calling. 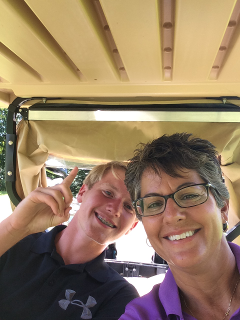 Ben Schlottman, age 16, called to let me know he shot 59 at Oak Valley. I knew he had shot 29, a career low, earlier in the day. 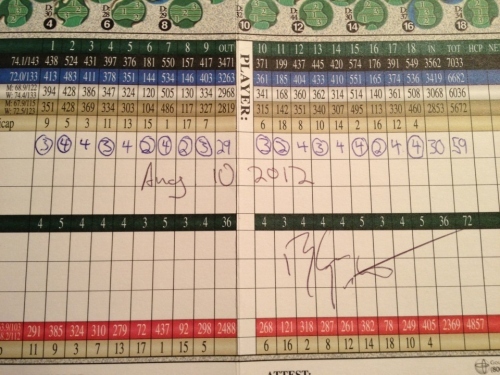 He apparently kept the great round going on the back nine too! Congratulations to Ben for shooting what many would consider a round of a life time. As for me, I think it's the first of several rounds in the 50's. Way to go, Ben!" 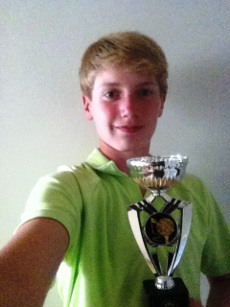 Anne Marie would like to congratulate Justin Lang for his dramatic win at the Forsyth Junior Championships. Justin shot a terrific 67-74-72, to win by one. He showed nerves of steel when he made a putt on #18 to win by one. "I can't tell you how proud I am of Justin and all the kids who played so well in the Forsyth. 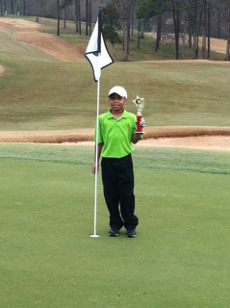 Justin has worked so hard on his short game and mental game. He is a very talented young man." said Anne Marie. 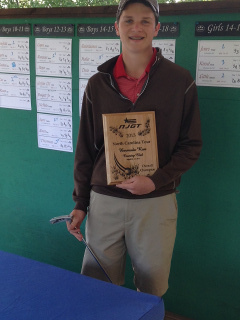 Kellan Bodenheimer played like a Boss, finishing second in the Forsyth Junior with three solid rounds of 76-76-74. 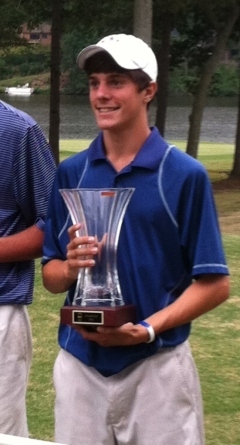 NC Junior Golf Foundation tournament champion! 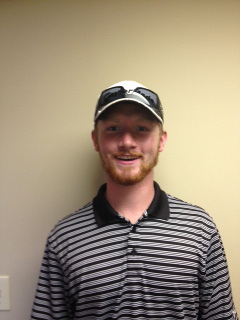 Congratulations to Eric Mitchell, who won the NC Junior Golf Foundation tournament. Eric won in dramatic fashion, going Par-Birdie to defeat two other players. Way to dig, Eric! 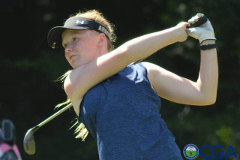 Annika Winebarger - one of the state's "girls to watch" in high school golf! Annika Winebarger is a rising junior at Elkin High School. 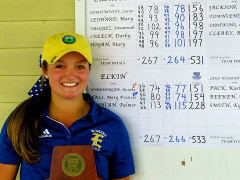 She has quickly become one of the state's "girls to watch" in high school golf. 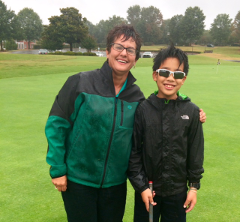 This month, Annika shot even par at Cedar Brook Country Club! Keep an eye on this talented young lady. 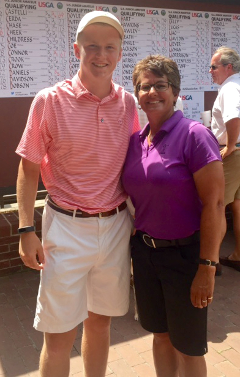 Anne Marie would like to congratulate Philip Kelley for qualifying for the Carolinas Junior Championship. 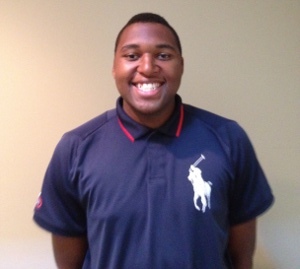 Philip showed maturity and exceptional course management. 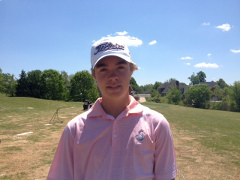 Carolina Junior Qualifying: Last hole-Philip Kelley KNOWS he needs par to advance to the Championship. Water on the left. Bunker short of the green. He has been through enough Course Management to know he should take a conservative line off the tee and then lay up. But Philip hit a great drive. He is more than tempted to go for the green in two. It's only 210 yards.He stops and thinks about it. The boy in him says, "You can hit it to the green and birdie the hole!" But the man in him follows the game plan.He lays up, sticks a wedge, takes an easy par and avoids any big numbers. Philip Kelley WON the mental battle, and qualified for the event. I could not be more proud! Way to go, Philip!!! 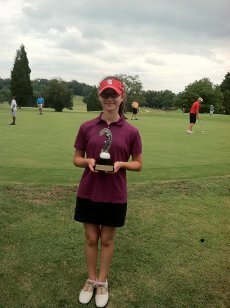 Congratulations to Cassie Paulin who won the girls division of the Forsyth Junior with scores of 96-96-87. Please join me in congratulating Kendall Dunn, the 2012 AAU High School State Champion! 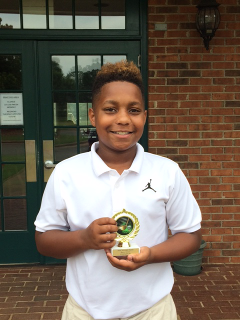 Kendall shot 70 to take the title and advance to the national competition in July in Tennessee. We will be cheering for you and hoping you bring home the hardware! Kendall Dunn is starting his freshman year at UNC Pembrook. We wish him all the best! 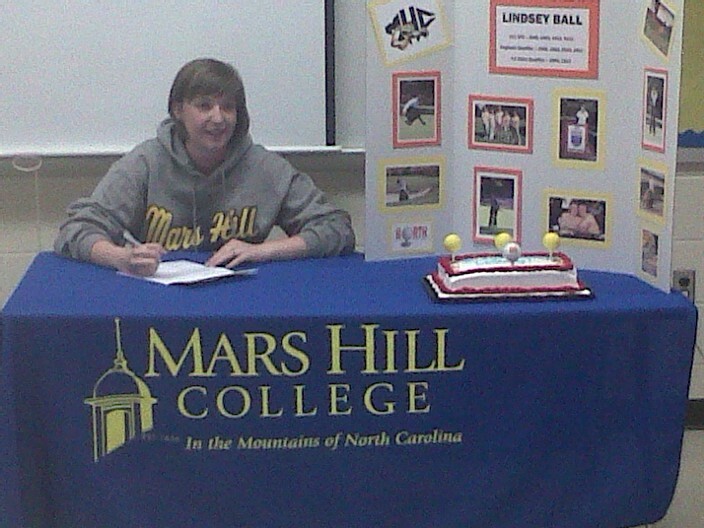 Congratulations to Lindsey Ball who signed for a golf scholarship to Mars Hill College. Also signing this spring was Vandalia Christian School Senior, Kendal Dunn, who signed for UNCG Pembrook. Lindsey and Kendal join the more than 30 golfers I have worked with who have received golf scholarships. Several children are currently in the process of being recruited to Duke, Wake Forest, Georgia Tech, Stanford, NC State and UNC Greensboro.